So good news today. 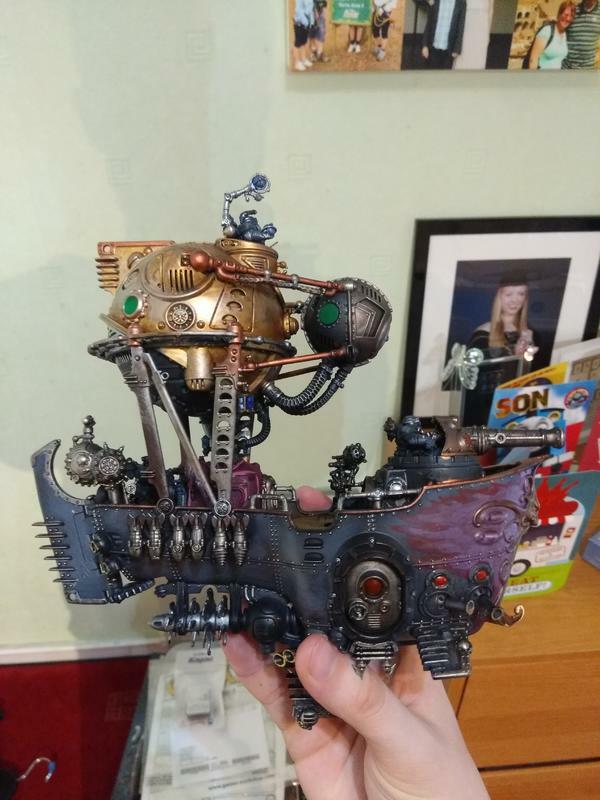 Even more work has been done on the ironclad! 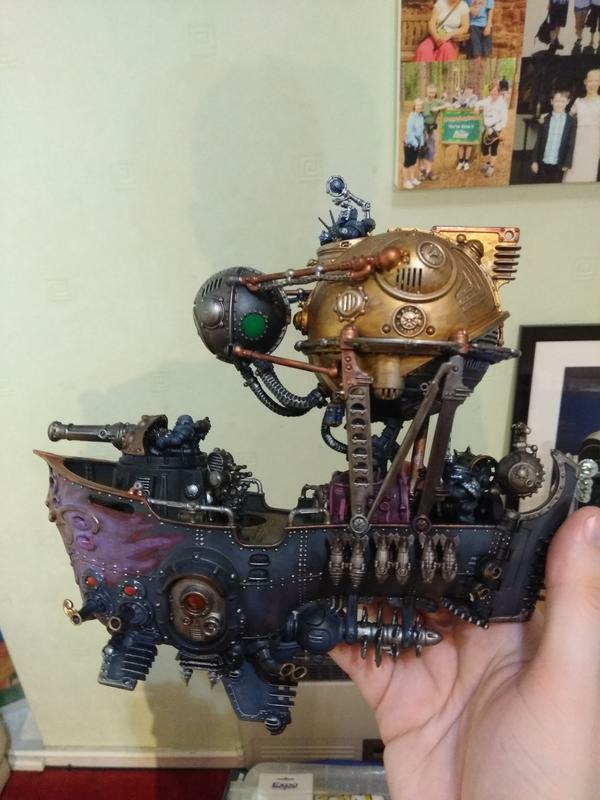 And once I get it finished and my special base done it will be ready to set sail at the head of my fleet! Look forward to seeing this beauty rising up through the clouds soon! Next entry Up through the clouds the ironclad soars! Cheers. Once based it should have the appearance of coming out from a giant realmgate stretching above the clouds, complete with energy arcing across it. 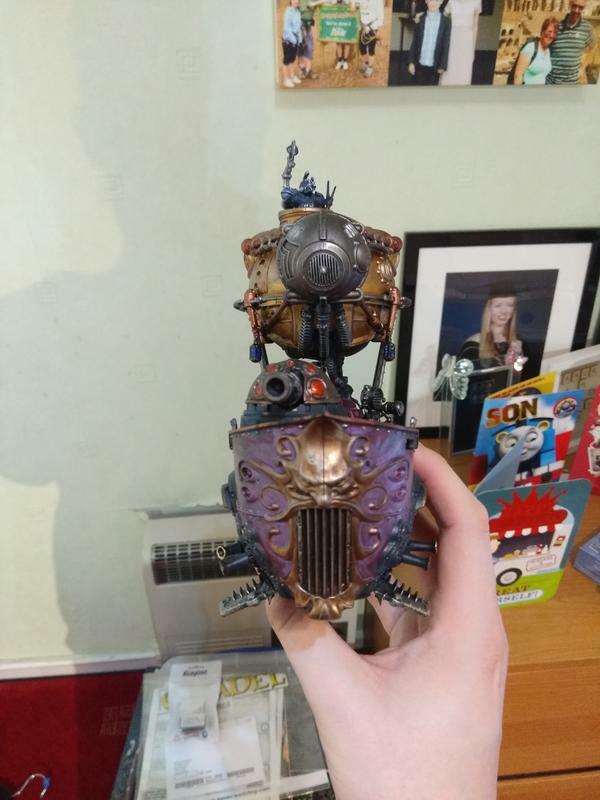 But unfortunately got to finish painting all the different bits before I can put it all together! Cheers I might try and get a 'work in progress' shot of the base and all its bits tonight. Give everyone a little peek into how it'll look.